In two of my final year nutrition modules, I learned about the Kuna Indians from the San Blas Islands, Panama. They have a very high consumption of cocoa and a very low incidence of cardiovascular disease.Dark chocolate has been given many health claims about its high content of flavonoids and their role in the reduction of cardiovascular disease. The Kuna Indians have exceptional cardiovascular health, which scientists believe may come from their particularly high consumption of cocoa. They drink three to four cups of cocoa per day, a similar habit to some of us Brits and our regular tea consumption, or Americans and their coffee! 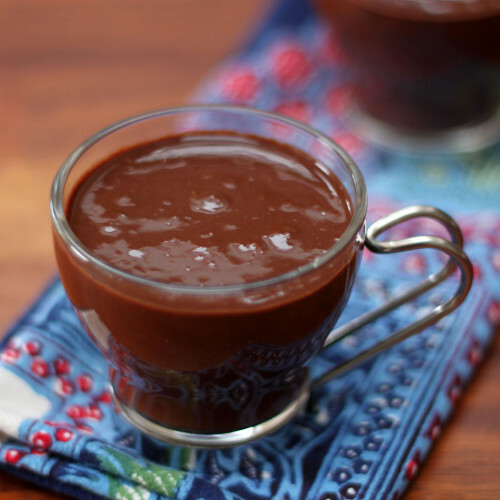 While I was learning about the Kuna Indians at university, I remembered a Kuna Indian Hot Chocolate recipe that I read on The more than occasional baker‘s blog, from which this recipe is adapted. I researched further and found this interesting news clip with a few more details on the cocoa drink of the Kunas. I was fascinated by this recipe and decided that I simply must try it out for myself! Break up the banana and boil with the water for 10 minutes on a medium heat. Use a spoon and then a whisk to break up the banana and then add the cocoa. Boil for a further 5 minutes and flavour with chilli and spices according to one’s taste. Enjoy! As someone who prefers things on the bitter side, I found this simple concoction absolutely delicious! It tastes very different from the standard hot chocolate that we are accustomed to, which is full of milk and sugar. 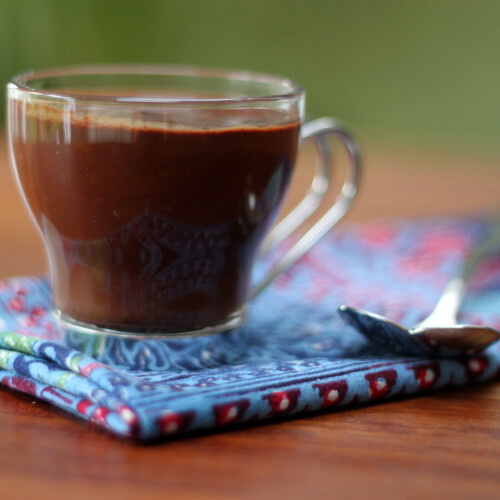 This Kuna Indian hot chocolate has bitter, toasty and earthy notes which are smoothed over by the soft and slightly sweet caramel notes from the banana. The spices add an extra dimension making it something very intriguing indeed. 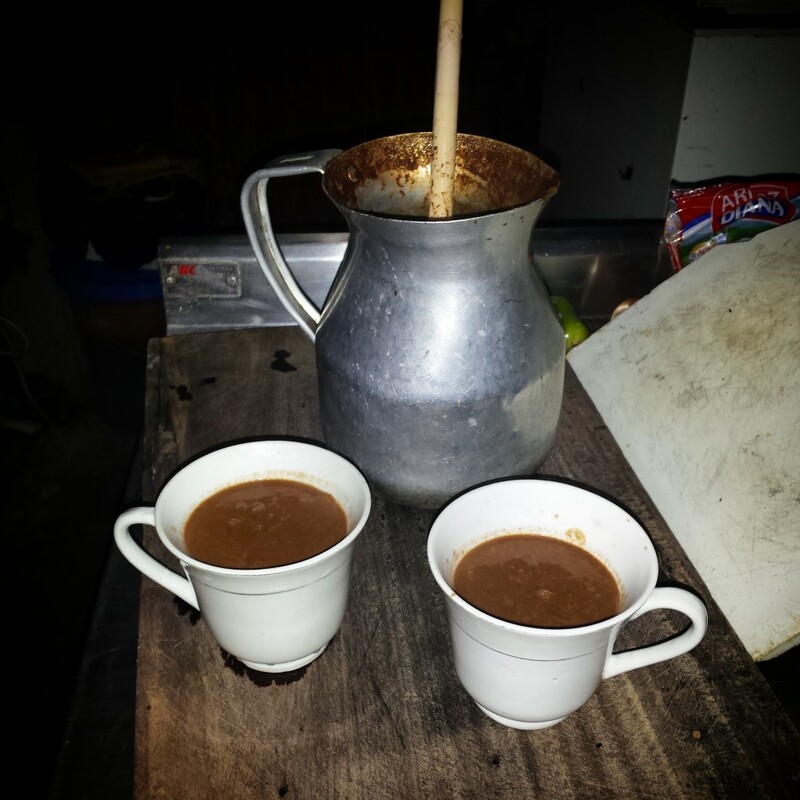 The drink has a somewhat thick consistency, similar to that of Spanish hot chocolate (chocolate caliente). I had the pleasure of visiting the San Blas Islands in December 2014. Although I had the most incredible time with the Kuna Indians on their beautiful islands, unfortunately, I did not find their cacao drink. I did, however, find a new Colombian friend to make it with it Capurgana, Northern Colombia. I think that this recipe would be the perfect ending to a dinner party – definitely something, with which, to enchant your diners! Have you tried this with ripe plantains? I recall plantains being a staple in the Kuna diet so suspect that is what they would have used. I just watched the video on Nutritionfacts.org about the Kuna Indians, their stunning low rates of heart disease, and the reason why seen as the fact that they drink 3-4 cups of cocoa a day. I knew that I had to find a recipe and try it. Hot chocolate is already one of the few beverages I enjoy. Thank you so much for providing this website and recipe! Where can I buy this cacao or cocoa? Is it in a powered form ? You can use any cocoa you like! 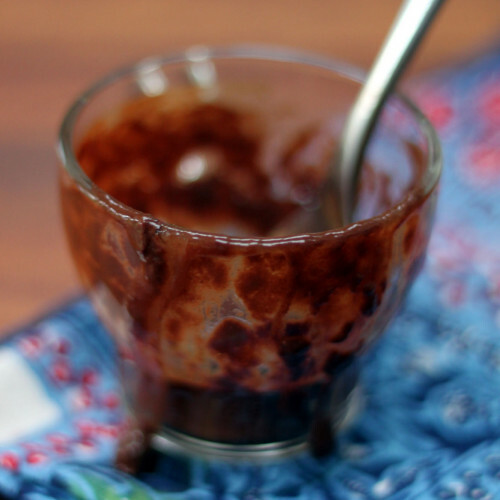 I just used a commercially available cocoa powder in this particular recipe. Interested in the recipe and its health benefits. Just a question, you mentioned 60g of cocoa. Is that cocoa powder or cocoa beans?